Down Syndrome is a genetic condition that causes a lot of birth defects. Children with Down syndrome battle with learning disabilities and developmental delays that come with the genetic disorder. However, having Down syndrome doesn’t mean it’s the end of the world. With the right behavioral and speech training, most people with Down syndrome go on to lead splendid, inspirational lives filled with laughter and smiles. 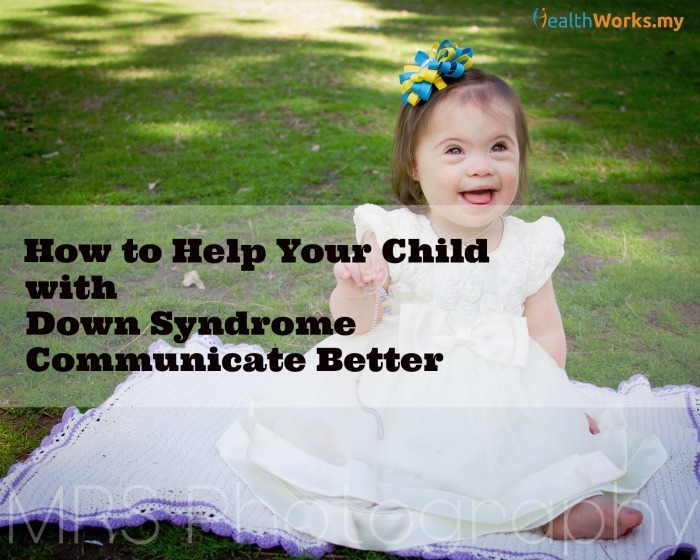 Perhaps the biggest challenge children with Down syndrome is their inability to communicate. While it can sometimes be difficult, special education and training in the form of speech therapy can definitely help. Speech therapy will boost the language skills and help your Down syndrome child express him or herself better. And this will in turn, open up more doors in the future. Before embarking on a speech therapy journey, the therapist will first need to properly diagnose the extent of the affliction. This is because symptoms are different for every individual, and can range from mild to severe. A hearing assessment is the best way to start the assessment (after going through any records of surgical and other forms of prior treatment). In a quiet environment with reduced background noise, the therapist will speak clearly while maintaining eye contact with your child. As someone with Down syndrome would usually have a short attention span, the therapist should also have other forms of stimulation for visual support like a sign, pictures or printed cards. Once the extent of the symptoms have been determined, the therapist can then progress to draw up a programme that helps overcome the slow learning disability. Patience is important as a Down syndrome child is also prone to impulsive behaviour and would have a short fuse. In the beginning, the focus in speech therapy is to help your child learn to differentiate and produce simple sounds. This begins from the babbling stage – from vowel sounds to some soft consonants, and would exercise the oral motor skills of the child. When your child develops this skill, the therapy then moves to practising single speech sounds while at 12-18 months of age. Once that’s done, your child is ready to practise whole word and sentence pronunciation, which can then be complemented by using signs and being read to. Once your child has mastered these basic speech skills, it is then possible to move on to increasing his or her vocabulary of words. This will help your child communicate the many sensations and feelings racing through his or her mind. This takes time and lots of patience, and constant reminders are often needed. As short-term memory loss is common in Down syndrom children, it’s important to keep practising words as this will improve the sound traces stored. You can try memory games, and support the learning with visuals, pictures, and printed cards. Apart from an augmentative communication system (methods that can help disabled people communicate) to support producing words, you should also read together with your child to further improve the vocabulary. This also helps address your child’s growing need for attention as various motor skills become developed. Once your child’s vocab learning has sped up, you can focus on grammar and sentence building. This can start by teaching the use of two, three and four words combinations. Then, it is possible to progress to the teaching of early grammatical markers and word order rules (syntax). As always, you should keep reading to your child to support the learning process. When your child starts developing social interactive skills, be sensitive when he or she tries to communicate. Listen and respond. During discussions, remember to listen and wait patiently. This gives them a chance to organise their thoughts and add to the conversation. You can also use styles of conversation that encourage the child to expand on and develop their contributions. Find situations that’ll give your child an opportunity to make choices and express him/herself through language. Encourage them to use gestures to communicate as it’s a strength and may remain important throughout life for some individuals. Beyond therapy sessions, it’s very important to include your child in social situations like ordinary classes, clubs, and social activities. This gives your child an opportunity to communicate with and learn from non-language delayed children and adults. Make sure you communicate all day, everyday with your child so he or she can continue developing the speech capabilities learned. It is helpful to set appropriate targets for speech, language, and communication, but don’t be over-ambitious. Like everyone else in the world, learning to talk is a lifelong journey. So, never forget the basics of speech therapy if and should the child with Down syndrome ever regresses as a possible reaction to various challenges in life. Don’t give up. One day, your effort will pay off. What other methods do you use to communicate and connect with a child with Down syndrome? Help others and share your advice and experience in the comments below. 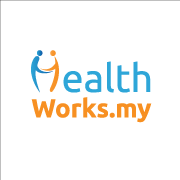 Contributed by: Mohd Firdaus Mazalan, speech and language therapist.